being turned away from dental surgeries, or other challenges in accessing dental services. Prioritising shelter, food, financial, health and social issues above oral health may mean that people who are homeless do not act until they are faced with a dental crisis. As a result, up to 15% of people who are homeless have attempted to extract (take out) their own teeth. Almost a third have been to A&E because of dental pain, and more than a quarter have used alcohol or drugs to manage it. What do the Faculty Homeless and Inclusion Oral Health group do? 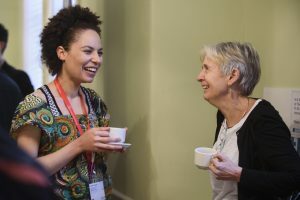 The Faculty Homeless and Inclusion Oral Health Subgroup includes clinicians, researchers, lecturers, trainees and students who are passionate about improving the oral health of people experiencing social exclusion. Members take action to help homeless and excluded people prevent and deal with dental issues. We are building relationships with grassroots outreach initiatives and charities, opening up opportunities for oral health promotion outreach, working with commissioners and policy makers and raising awareness across the profession through regional, national and international speaking opportunities and a newsletter sharing good practice in Homeless and Inclusion Oral Health. Join The Faculty Homeless and Inclusion Oral Health Subgroup. Attend free and low cost meetings and conferences on homeless and inclusion issues. Contact us to volunteer with a local inclusive dentistry initiative. Email the Chair for information about commissioning and establishing homeless dental services in your area. The links below are great examples of work happening in the field, which can be adapted for your dental service. These resources, commissioned from Victim Focus by the Oral Health Subgroup and HEE, are designed to help dentists understand the impact of trauma and support patients through it. The pack includes posters for practices and patient advice and information. 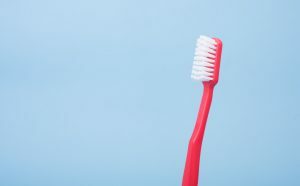 The Smile4Life programme from the School of Dentistry at the University of Dundee looked at developing, implementing and evaluating an oral health preventive programme for homeless people in Scotland. This training pack is based on the project findings, and is designed to help dentists to provide better care for homeless patients. Volunteer dentists can work with charities to help reach excluded people with oral health messages and provide care to those who would otherwise not receive support.